I was told to use an extra screw cap under the traditional gas pop open cap for safety in case of a rear end collision. However when filling up the other day, I released the screw cap and there was a lot of pressure released. It occurred to me there is really no vent in the tank when the gas is being removed by the fuel pump. Also noticed in the clear fuel filter after the fuel pump there appears to be turbulence and lots of bubbles. Not sure any of this is a problem. Could this lead to fuel starvation. Thoughts? You are sealing a system that is supposed to be vented, yes it can cause fuel starvation. There are vented twist on fuel caps available. The bubbles you're seeing is a vacuum being created in the line. Most likely air coming in thru the carb fuel bowls vents. Thanks Rsmach1, I sent an email to tankarmor to find the height ID. This might make a nice cover for those of us wanting to go with EFI tanks with pumps- the lines will be on the top of the tank and need to be covered in some manner. As far as I know they fit pretty tight to the top of the tank, if you went with a early 16 gal tank and the later tank armor for the 22gal you'd probably gain some clearance. Those tank armor covers looks pricey for what they are. I think I'd make a sketch and get a price from a fab shop first. Looks like about 1 to 1-1/2 hours labor plus some cold rolled or hot rolled mild steel. Agreed, your paying for convenience as they are $285 and change shipped. Did not know about that. Is that already there or did you add it? I was driving yesterday in 41deg (C) and noticed the gas tank was pressurised. The vent/dent is there but I also have a cork seal that is fitted that covers the dent. Is there meant to be a seal here? I think mine may be blocking the vent. What gas cap do you have? The original pop open cap or the pop open cap Ford redesigned a few years later for safety reasons. I have the later OEM Ford redesigned version, the cover pops open like the original, then there is a twist on cap inside. The twist on cap is vented so it doesn't rely on that small notch in the filler neck. Hi, I am not sure what you mean by a twist so I have attached a photo of mine. Under the cork it is a flat surface so it appears the only venting is from the notch. Thanks Brian, I have made a paper gasket to see how it goes. If it leaks I will try your idea with the hole. Mine is exactly like the one shown above. It's an NOS original Ford pop open gas cap that Ford redesigned a few years after the type you have. The pop open part is identical to yours but is a cover and a small twist on gas cap fits inside. The twist on cap is vented. The original style like yours can pop open in an accident and fuel will spill out. The redesigned type like mine was for safety reasons. Thanks for that. I will look into getting one of these. 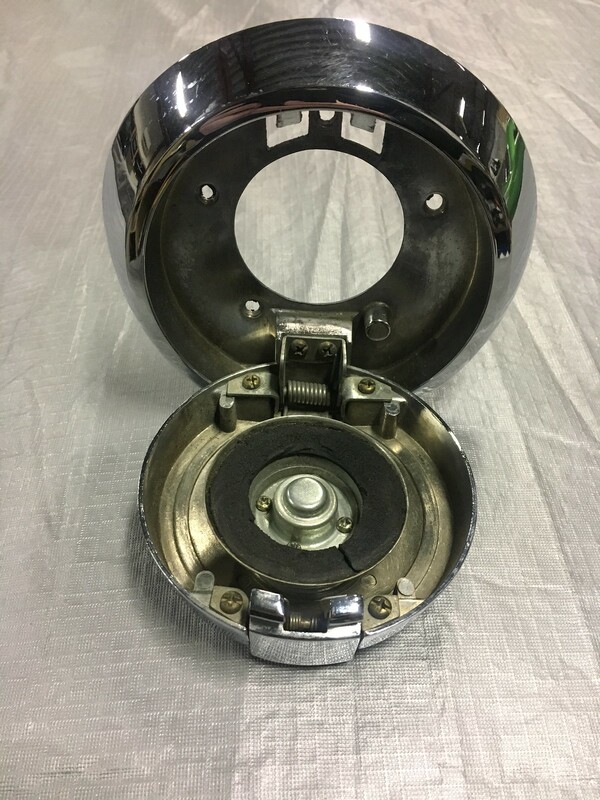 1969_Mach1, I have an original "driver quality" pop open gas cap for my 69 Coupe that I want to modify to be able to use the small twist on gas cap inside the pop open cap. Does the small twist on gas cap have any manufacturer name or part number on it?. There is vented, a warning and made in USA on it. But I don't see a brand or part number. I haven't looked recently, but I thought I have seen this small twist on gas cap in National Parts Depot's catalog. To me, the warning and made in USA lettering on it does look like lettering Stant uses on their products. For some reason every time I look at it I think it's made by Stant. Tank needs to be vented. Notch is a great idea. California cars had non-vented tanks with return lines, very complex cluge of non-working parts. Big block Shelbys had special vent lines due to fuel spill/discharge on off throttle that spilled fuel into Shelby rear exhaust..... several really good threads on this forum for those details. My 69 California Mach has the notch in the fill tube near 12:00 and the setup like shown by Brian Conway. 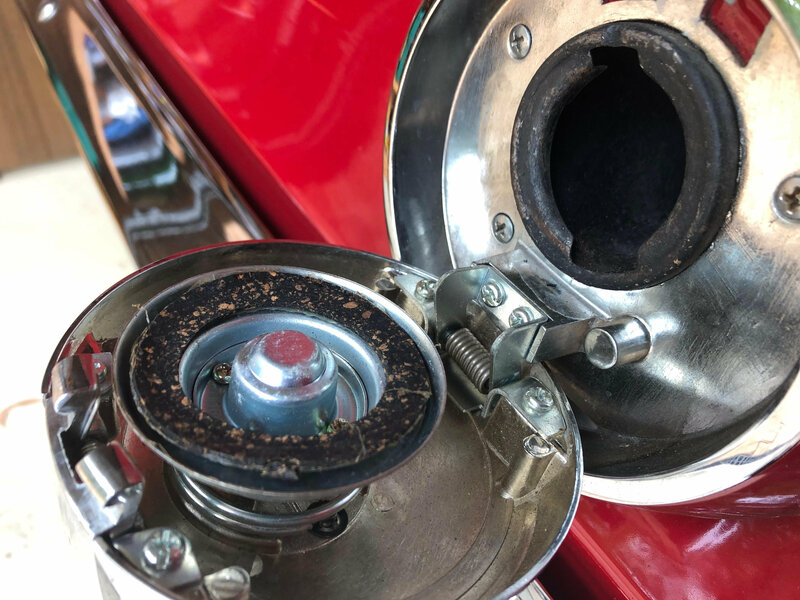 70 California cars had a different tank with a bulge at the top and the first vapor recovery system made of plastic that eventually hooked up to the air cleaner. It was kludge and is difficult to find replacements for the now brittle parts. After 1970 vapor recovery went nation wide. Yes the Shelbys had the problem of the exhaust tips being directly below the fuel fill so they added a vent tube that just routed it into the rear frame rail. 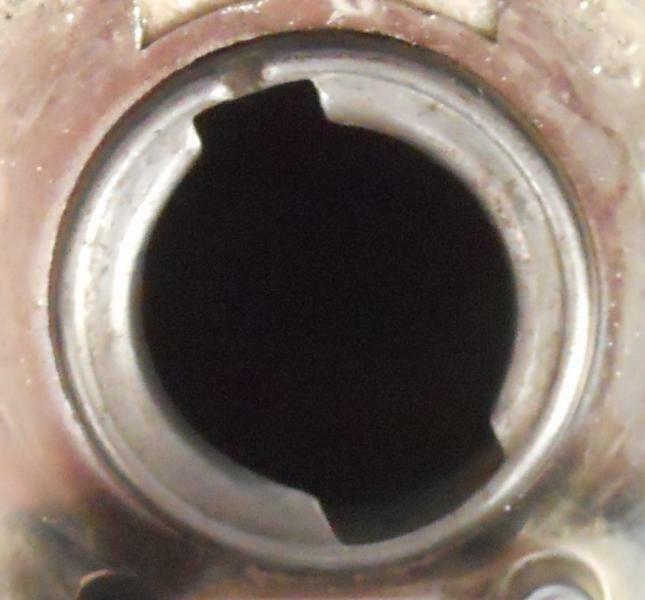 It is very common for gas to pour out the back through the vent notch in the fill tube when under hard acceleration. There is an episode of Bitchin Rides that shows it happening, although they make no mention of it.